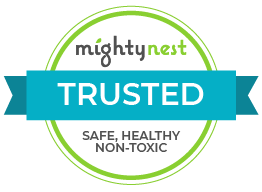 This is the first time I use Mighty Nest and I couldn't be happier. The whole transaction was fast and easy. The product was exactly what I expected. The sunscreen smells delicious and meets all my hippie mom requirements. I am so glad that I don't have to spend hours researching the best and safest products, I can just go on this website and trust that everything is safe for my kids to use. I highly recommend this site for busy mommies who want the best for their kids. I was pretty disappointed to see that the sunscreen bottle was only 2.9 ounces. For the price was expecting at least 6 ounces. I just noticed that the product description doesn't even include how much you are getting. I ordered the kids spf 30.